Loved the options and the feel of the place! Highly recommend! The crepe that I ordered was very tasty and I love the fact that you make gluten-free crepes. Lovely service and delicious crepe! I was excited about my Crepe, but the person who made it put WAY TOO MUCH pesto on it, which made it incredibly hard to eat. I wish I could get a redo for this item. At least it was free! 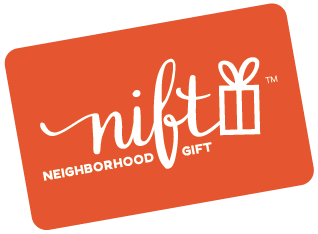 it was great and so easy to use the nift gift! Wonderful crepes, well prepared! Each crepe is prepared to order! Fast and efficient service. Great food. The cinnamon roll crepe is SOOOO good! Great portion size and really tasty. Food was delicious, service was fast and friendly even though they were very busy! Paris Creperie was great! It would be appreciated if you could provide a way for customers without smartphones or a data plan to redeem their gifts, since I ended up holding up the line and eventually losing my place in line while I fumbled around with my smartphone to try and place my order. Thanks! DELICIOUS!!! Holy cow, so good! We got both a savory and a sweet crepe, and were blown away by both. We will be back! Paris Creperie was a great place to eat and hangout. I ordered the lumber jacques which was served at the right temperature. The bacon was not too dry and the eggs were not rubbery. The crepe tasted delicious. The team member who took my order was friendly as well.